The goals of this article are to showcase the different type of intelligence that most of us I believe fail to acknowledge because few of us were ever taught of its existence. I will go on to further discuss history on education, how it has failed to properly guide individuals with different intellectual capacities, how that same education cannot be replicated in third world countries. Lastly I’ll cover the bigger picture as far as the crossroads between human and economic development under the umbrella of education in third world countries and in general. People gifted in verbal-linguistic intelligence tend to be good at reading, writing, and memorizing words and dates. They learn best by reading, taking notes, and listening to lectures. These people are left-brain dominant. School is relatively easy if you are strong in this intelligence. Most “A” Students are strong in verbal linguistics intelligence. Many go on to become journalists, Lawyers, authors and doctors. Those gifted with this intelligence do well in math. They are comfortable with numbers, numerical problems, logic, and abstractions. These people are often left -brain dominant. Students with this intelligence also do very well in traditional education environments and often become “A” students. Many go on to be engineers, scientists, doctors, accountants, and financial analysts. These students are often gifted physically .They tend to learn better by moving around and by doing. This intelligence comes out through gym, football field, dance studio, acting studio, wood shop, or auto shop. Professional athletes, dancers, actors, models, surgeons, fire fighters, soldiers, police, pilots, racecar drivers, and mechanics are often gifted with this intelligence. This intelligence is strong in art, visualization, design, and solving puzzles. These people are generally considered right brain-dominant. Students gifted with this intelligence tend not to well in traditional education environments. They do better in schools that focus on art, design, color and architecture. These students go on to become artists, interior designers, fashion designers, and architects. This intelligence is sensitive to music, rhythm, pitch, melody and timbre. This person often sings and plays musical instruments well. This intelligence does not do well in a traditional education setting. A person with this gift is better off in musical environments of learning, such as schools for the performing arts. These people are communicators. They are usually popular and extroverts, displaying sensitivity to other’s moods, feelings, temperaments, and motivations. A person gifted with this intelligence often does well in school, especially in popularity contests such as running for student government. These people tend to go into sales, politics, teaching and social work. This intelligence is often called emotional intelligence. This intelligence deals with self-reflection and being introspective. Emotional intelligence refers to having a deep understanding of yourself, knowing your own strengths and weaknesses, and what makes you unique, with the ability to handle reactions and emotions. Intrapersonal intelligence is crucial for high stress environments. In fact, Intrapersonal intelligence is critical for success in almost any field or profession. Intrapersonal intelligence means communication within yourself. It means being able to talk to yourself and control your emotions. 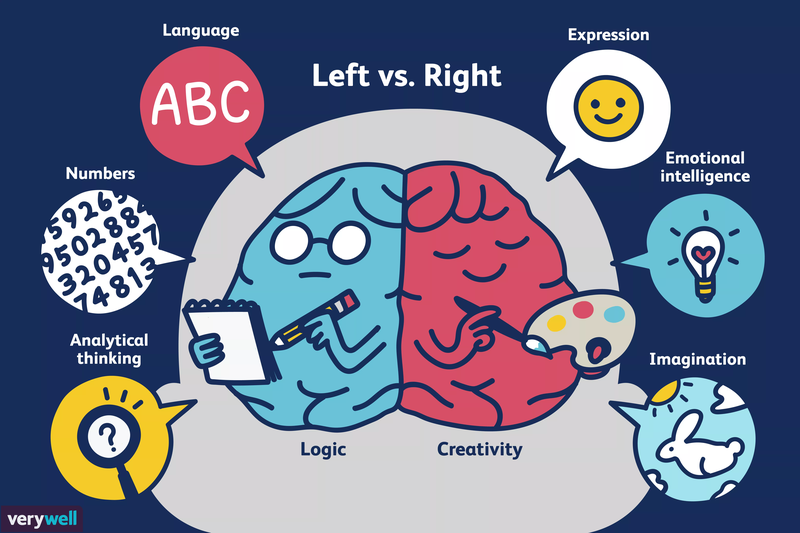 For example, a person who is “left-brained” is often said to be more logical, analytical, and objective. A person who is “right-brained” is said to be more intuitive, thoughtful, and subjective. Although this was originally written by Howard Gardner this information was found in a book by Robert Kiyosaki. If you are like me, you must be astounded at this moment, and let me tell you why I feel this way. I have particularly experienced certain moments in High school and university, thinking that I was of inferior intellect in relation to others. I saw colleague’s graduate, proud parents. Here in Africa is worse, we attach our self value to academic score, if you are not good student you are hardly considered a son. Please don’t take this last statement too literately. It was only after a long and hard time, through self discovery that I realized the world is not as black and white as society likes to convey. This article is for all those who feel insecure, out of place in the classroom and know that they should not be there, or feel bad for not being pleasing their loved ones academically speaking or even more importantly, still can’t find their way into the academic world and become successful in a more creative way. Knowledge can be transmitted in innumerable ways; evidently the educational system is not naturally modeled to satisfy the various intelligences of the human being. If you cannot memorize words, dates, formulas, expressions, numbers, or you hate reading or you suffer from short attention span (which now we all do); You should practically consider yourself out of the equation. You will most likely face lack of social esteem from ignorant people, simply because very few people know of these forms of intelligence. Although I believe many other few selected teachers, intellectuals and average individuals like me, know it as well. Below I will mention few more reasons why we willingly or unwillingly remain benighted. #knownfact –Did you know that in the United States alone the education industry spends 500 billion dollars annually? Yes billion with a b. Just for the sake of real understanding, It’s my duty to recite Howard Gardner view when he points that the rise of the modern secular school occurred first in the West, particularly England and Germany. Of crucial importance was the development of modern science and its gradual acceptance through Europe and North America and The many other epochal, religious, political, economic, and social changes that occurred in the period of 1400 to 1800 are also well known that it is unnecessary to rehearse them. But in their wake there arose a citizenry much more in need of formal education, much more willing to sacrifice so that its children could gain that education, much more oriented toward the sciences and toward technology. As each of the great industrial revolutions occurred –the revolution of textiles and heavy machinery in the eighteenth century, the revolution chemicals, electrical engineering, and steel in the nineteenth century, the revolution of computers and information technology in the twentieth century- further changes have been wrought in the educational system. Industrial scene along the roadl. Education in most countries is obviously inclined toward the verbal linguistic and logical mathematical type of intelligence, needless to say only few will succeed, hence the situation of unemployment and undervalued professions have no other way to go but up. The goal is not to categorize the students/people who don’t have the type of intelligence that is most suitable for the system; it is to bring awareness and understanding to our mentors, guardians, parents when it comes to academic success. I would be a fool to put my personal bias on a pedestal and not mention the advantages the educational system has offered. Education system has strong roots. So don’t rely solely on what I’m sharing, if this topic interests you, please do further investigation in order to unmask the complexities of education as a whole. Third world countries like Mozambique(where I’m from) you don’t have much chance of succeeding if you don’t go to college, though things are slowly changing, for most people if your skills are more creative than anything else. We do not have a market for that. At least not lucrative. From an economic standpoint 1, 2, and in some form 6 are the type of intelligence society values and needs the most. Try going to most universities and look at the list of courses they offer , you’ll most likely see accounting, computer science, mechanical engineer, biological science, medicine, veterinary science, journalism, law, to which are all essential to modern life social order . These courses will suit people who are willing to learn by reading or listening to lectures. #Knownfact– The system is not training people to discover their potential, it is training us to fulfill certain job positions to put food in our mouth and avoid dying. The courses offered by universities and colleges are important for society’s functionality, but there has to be more creative ways of transmitting the same type of knowledge to individuals. #Knownfact – The average level of education in poorer countries is equal to what was attained in many developed countries in the early 1900s. Most Third World Countries inherited colonial education and did not do much in terms of transforming the educational systems so that they would be relevant to the needs of their respective communities. Colclough (1980) argues that education is being used as a screening device by some employers because they get too many applicants who look for jobs after completing their academic qualifications. In Zimbabwe due to the world recession and the scarcity of jobs, employers do not look at educational qualifications but employ applicants because of their personal recommendations or political patronage. This shows that education qualifications have no relevance for the job market. He concludes by suggesting that the link between education and work is very loose especially in a world where technology changes every time. The marketability of vocationally oriented graduates is vulnerable as it is at the mercy of the employers’ demand. Simmons (1974) has highlighted the views of the poor in the community and the challenges they continue to face. Schooling the poor communities in third world nations as a means of escaping poverty is a tall order since only a few benefit. Simmons (1974) argues that research has shown that the poor are the first to drop out of school since they need to go out of school and find a job to raise a little money in order to meet basic needs of food. The poor are the first to be pushed out of school because they fall asleep in class as a result of malnourishment. They are the first to fail their English/Portuguese tests because upper income children have better opportunities at home to speak the language and watch programs that improve their language proficiency. So whilst education will benefit few poor people to leave their poverty, the majority of the poor remain poor. If the goal is to create a funnel of unlimited supply of money, then we good, but if we decide to intentionally overcome this unfair advantage especially in a capitalist society we need to work in smart ways. I think we should strive towards improvement, work more towards human development. Robert S Mancnamara then president of world bank declared in 1980s speech : Development is clearly not economic progress measured in terms of gross national product .It is something much more basic : it is essentially human development , that is the individuals realization of his or her inherent potential .It is something more basic . Human development is defined as better education, health nutrition, and family planning at the local level. The human brain has a very large unused potential which some authorities have accessed at 90%. The job of education is to realize this unused potential. -“Einstein learnt intelligence in the same way that a person learns to play the piano, “by ear”. The development of man’s intelligence allows him to rationally direct the biological evolution of his own species and to eradicate chance and need from the entire process of that evolution. The free intelligence of every man is also the image and likeness of God’s intelligence. Based on this optimistic analysis of human capacity of human beings to become geniuses he and his colleagues have embarked on an ambitious program to raise the intelligence of the Venezuelan populace. “We (Venezuelans) are going to completely transform our educational system. We are going to teach how to develop intelligence every day, from kinder garden to college, and we are going to teach parents, especially mothers, how to teach their children from the moment of their birth, and even before, how to develop all of their capabilities. In this matter we will be offering our people and all the peoples of the world a real new future. Intelligence and education obviously go hand in hand, but we prioritize one over the other. It has worked for a great period time, but is that same method sustainable? Education in 21st century has not only proved irrelevant to the current state of society but it also cannot be sustainable for a long time. With that being said I believe following the same pattern of rules in education as opposed to aspiring for intelligence and innovation is what has been limiting growth, not only as species on a macro level, but as nations too, especially third world ones. This education system has proved to be beneficial for those who can afford it. Intelligence we all have it ,but education few have and we need education to better cultivate our intelligence in order to better serve our communities and future generations. We can still teach about the different subjects;We can do it whilst emphasizing intelligence, to which will further be used to eliminate students’ low self esteem by avoid silly comparisons and making everyone fit in. To end I have couple of questions for you ,feel free to comment below. What do you think we can do to focus on intelligence rather than education only? What about the article you liked the most and why? Thank you for reading this far, I imagine it was quite a journey , we touched in many different areas .I truly appreciate your attention, it means a lot to me. Amazing article, this information can change the world!